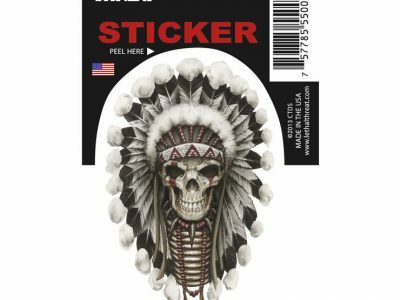 Skeleton Finger Decal is durable, weather-resistant and comes with transparent backing. This decal adheres and contours to any steel surface and measures approximately 6″ x5″. 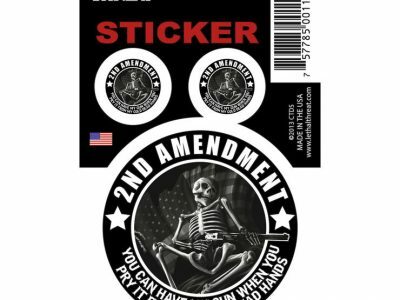 The design on this decal features a skeleton hand “flipping the bird”. 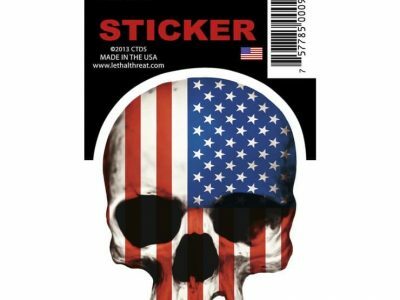 Customize your bike, helmet, or anywhere else you deem important with this decal and show your biker pride!